﻿This year is especially for those who don't appliqué, as the entry must be a pieced quilt. Choose any pattern you like with colors inspired from a salad. The concept uses the ingredients in any salad as the inspiration for your color palette. Your choice of colors is endless! Red leaf lettuce, kiwi fruit, blueberries, oranges, purple cabbage, anything from "The Salad Bar". The quilt is to be any pieced pattern. It's not supposed to LOOK like a salad only be inspired by the colorful ingredients in a salad. Size must be restricted to no larger than 30"x30" or 120 inches perimeter. 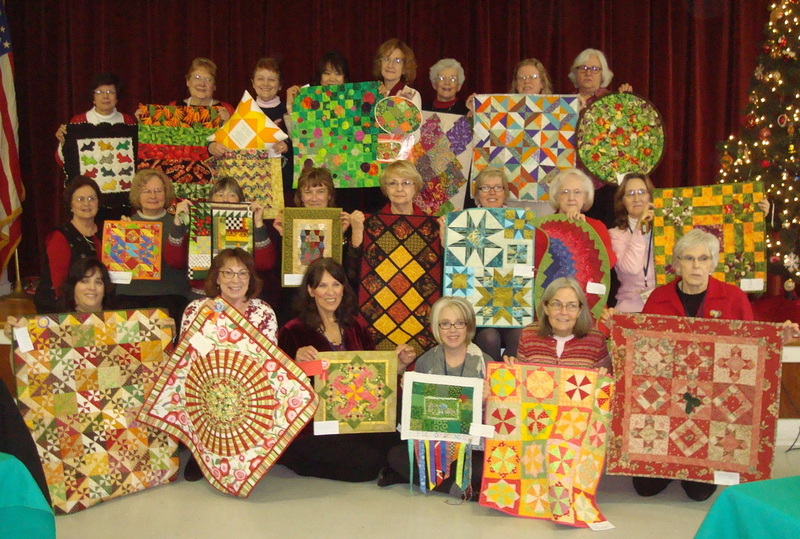 Begin building your "salad bar quilt" early so it will be finished by Decembers' party. More information and ideas will be available at our meetings. Also, you may enter as many quilts as you want.